Memorial Day in Cape May! 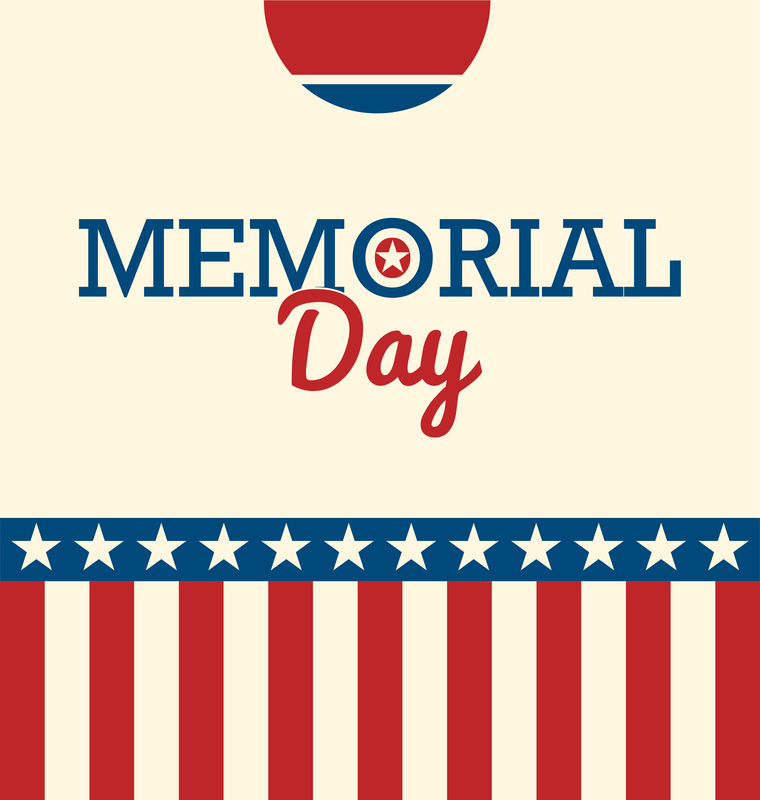 Memorial Day is on the horizon and vacationers are looking forward to a 3-day weekend, filled with family events, beach time, and visits to favorite haunts. On this day, though we honor the fallen men and women who gave their last full measure of devotion to our country. Memorial Day is the official start of summer, the restaurants and shops are returning to their extended hours! 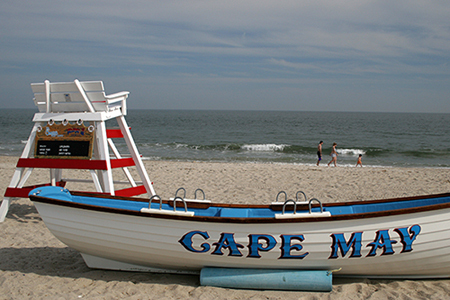 If you don’t have plans yet, you should visit Cape May – there is much to do and see! On Friday, May 18, take a stroll on Washington Street Mall, the stores are having a spring sidewalk sale. Later in the day, you can stop by at Nauti Spirits Distillery and enjoy one of their amazing cocktails while listening to The Honeyhawks, a local duo who will make your ears happy! Nauti also has tours of the distillery, so be sure to take the opportunity to go behind the scenes and learn more about the distilling process. Also, take a moment to look very closely at their logo…it’s surprising and cool! 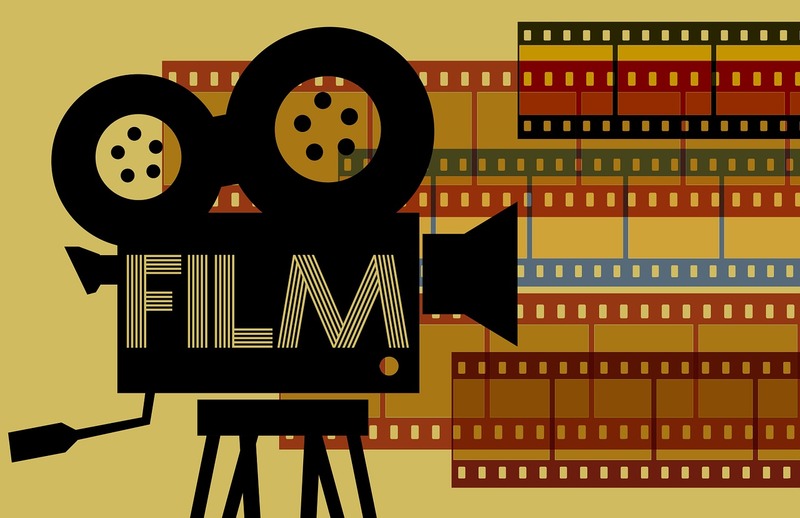 Sunday, May 20th, stop by the Cape May Airport Aerodrome in Erma f or the Cape May Fringe Film Festival – a new event and venue in our area presenting productions by theatrical companies from Pittsburgh, Cape May, Philadelphia and New Jersey. 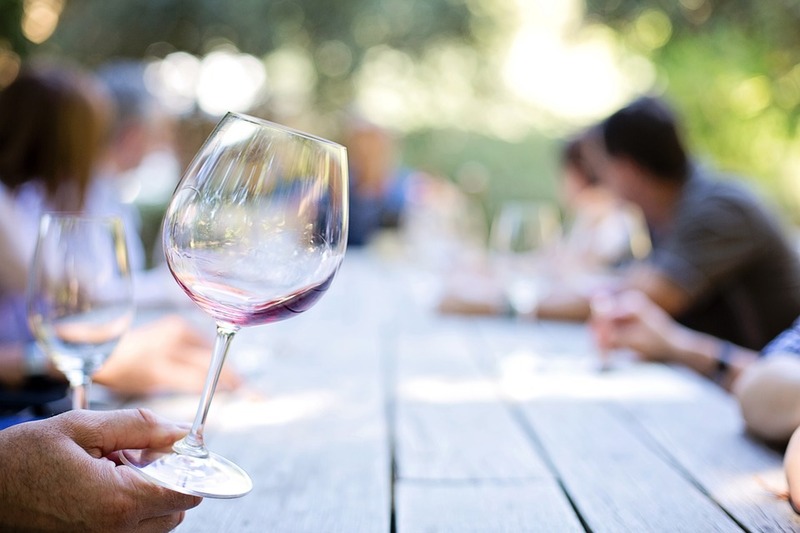 If you love wine, you can enrich your knowledge of wines during the Cape May Wine School. The event takes place at Washington Inn between 1:00 – 3:00 pm and there is an admission cost. On Wednesday, May 23, Thursday May 24th and Friday May 25th, East Lynne Theater Company presents ” A Year in the Trenches” and Cape May Stage presents ” Erma Bombeck: At Wit’s End.” Two great plays that you need to see if you are in town. On Saturday, May 26, The Kiwanis Club holds their much-anticipated annual yard sale. 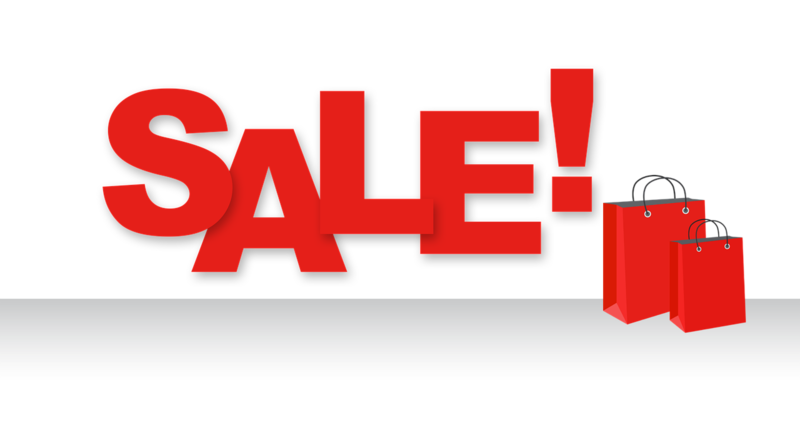 The sale starts bright and early at 7:00 am and there will be so many treasures awaiting, you will not leave empty-handed! Catch “Girls Rock the Vines” at Hawk Haven Vineyard as you sip on one of their delicious wines. Locals musicians Patty Blee, C. Lynne Smith, Lelah Eppenbach and our own Debra Donahue will be performing together throughout the day from 1-7pm with duos, trios and all-out collaborations of rock, folk, blues and bluegrass. Another great show will take place at Nauti Spirits Distillery where local musician Chris Gillian-Schwartz will be playing, and trust us, you want to go and see him perform live! Harry Snyder Post 193 will conduct a Memorial Day Ceremony beginning at 11:00 am in Cape May Convention Hall. After the ceremony, the Coast Guard Training Center Cape May will launch the flower boat from Gurney Street Beach. The public is welcomed to attend the ceremonies and honor our Veterans. and we can help you with that! We still have plenty of openings for getaway weekends and of course, for the SUMMER! 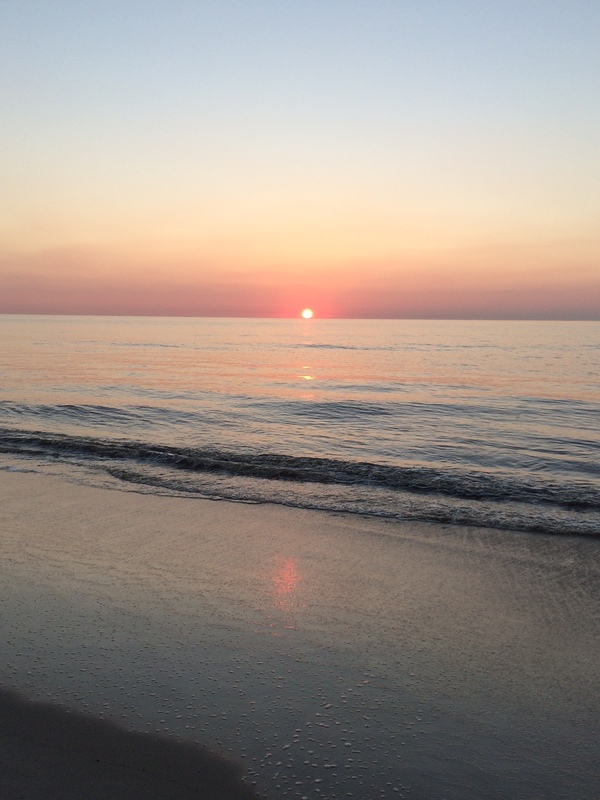 You may wonder: Why Cape May? Cape May is one of the country’s oldest vacation resort destinations and it’s a National Historic Landmark due to its concentration of Victorian architecture. 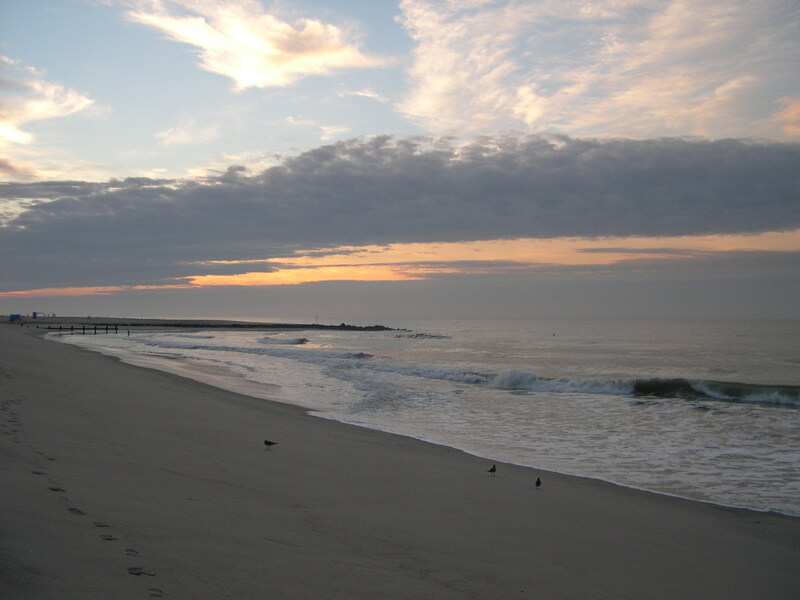 The Travel Channel (among other organizations and media outlets) recognized Cape May as one of America’s top 10 beaches. The peninsula has welcomed vacationers to her shores since the mid-18th century, and continues to enjoy the distinction as one of our nation’s premier year-round vacation destinations. 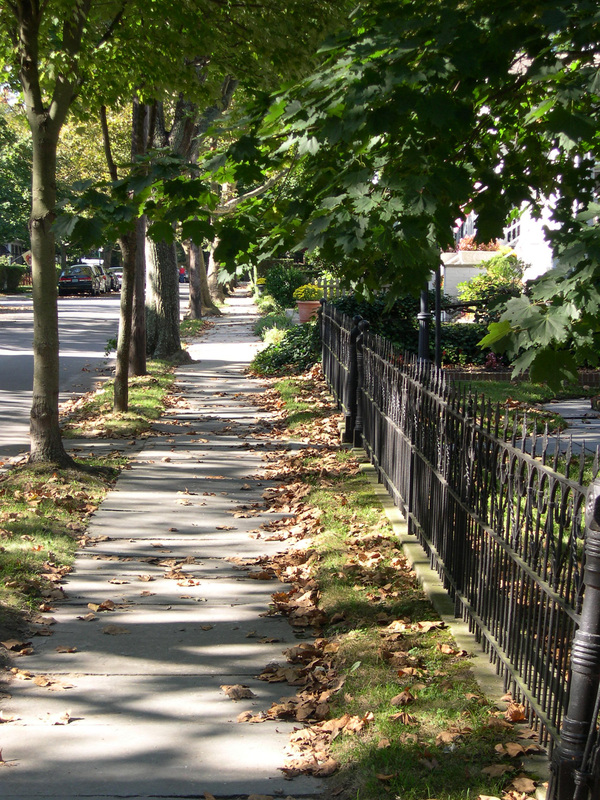 Cape May has many special features for you and your family to experience and explore. 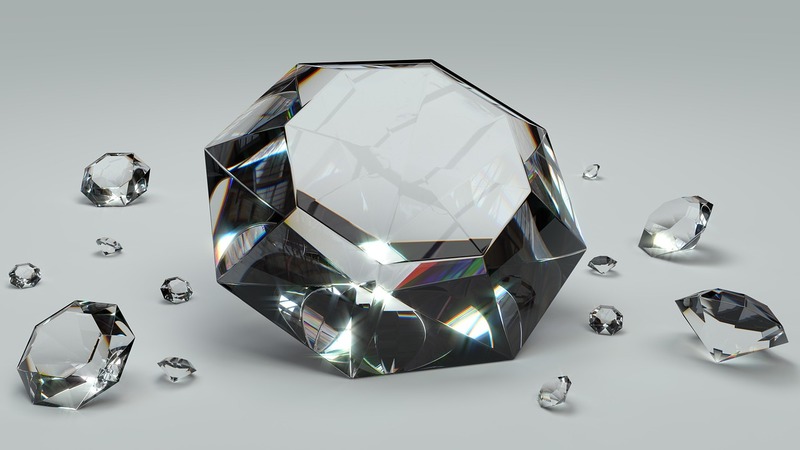 For instance, have you heard of Cape May Diamonds? They are little quartz pebbles, washed down from the Delaware River and you can find your very own on Sunset Beach and other beaches in the area. Grab your little ones and start a family scavenger hunt… for Diamonds! There are so many great things to do in Cape May this spring. You can go on a 2-hour narrated sightseeing cruise around the island of Cape May on board of Cape May Whale Watcher, The skilled captains and crew will share lots of information about the area’s unique marine life and about the history of Cape May. 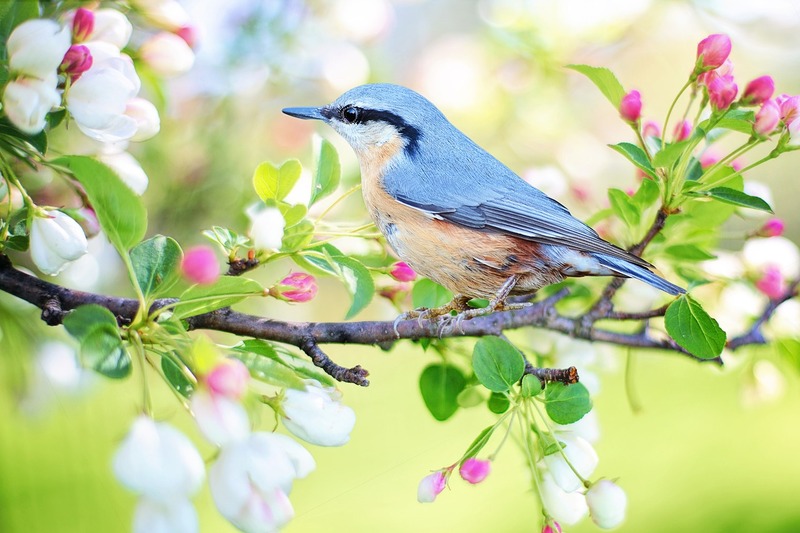 If you love birds, you might already know that Cape May is world famous for its bird watching, Monarch butterfly migration and natural history. You can embark on Cape May’s Wild Side Trolley tour to learn more about the diversity, abundance and history of this amazing spectacle. If you are up for a great adventure with the whole family you should try the Cape May Family Treasure Hunt. The packet includes a clues sheet and a map that will take you on a self-guided discovery tour of Cape May. 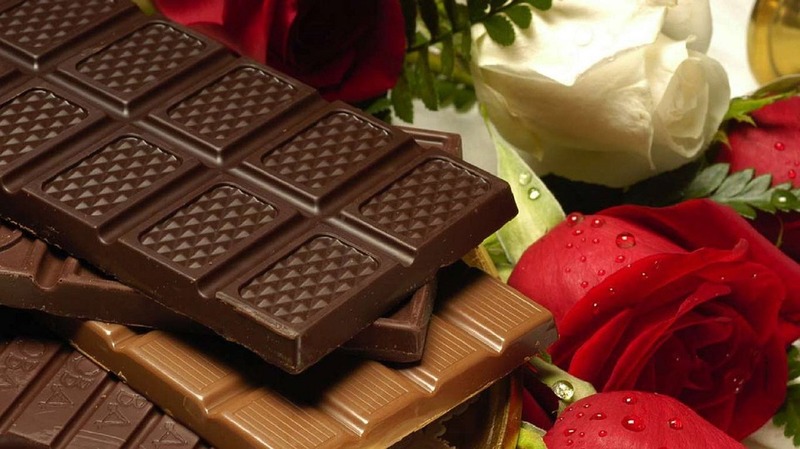 For chocolate lovers, The Blue Rose Inn has planned a delicious event for you! 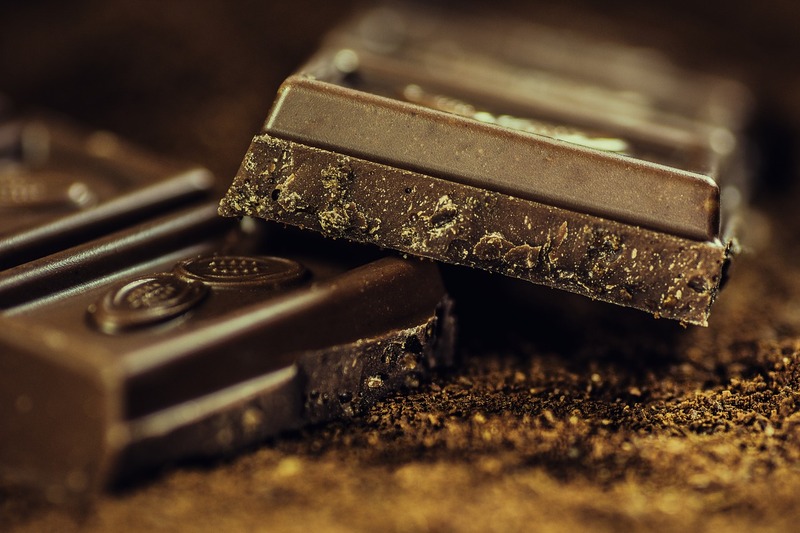 Join them on Saturday, April 28th at 1:00 pm for their annual chocolate event… seven courses of chocolate desserts! You will learn from the chef himself, how they are created. 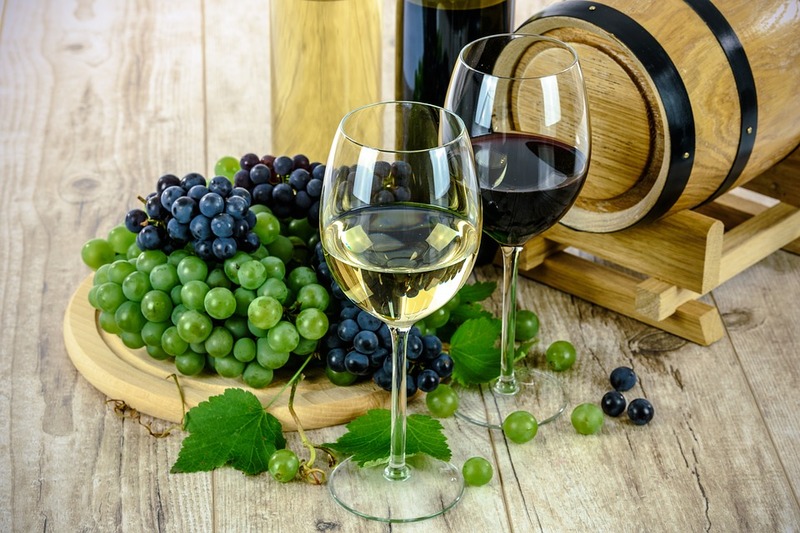 Another great way to spend your afternoon and learn about vinicultures by visiting Cape May County’s wineries on the Mid-Atlantic Center for the Arts’ “Cape May Wine Trail” trolley tour. The wine trail includes tours and tastings at Willow Creek Winery in West Cape May, Hawk Haven Vineyard and Natali Vineyards (both a bit to our north) and lunch at Carriage House Cafe and Tearoom at the Physick Estate. Whether you are looking for a romantic getaway weekend or just a few days away with your family, Cape May is the place to be. 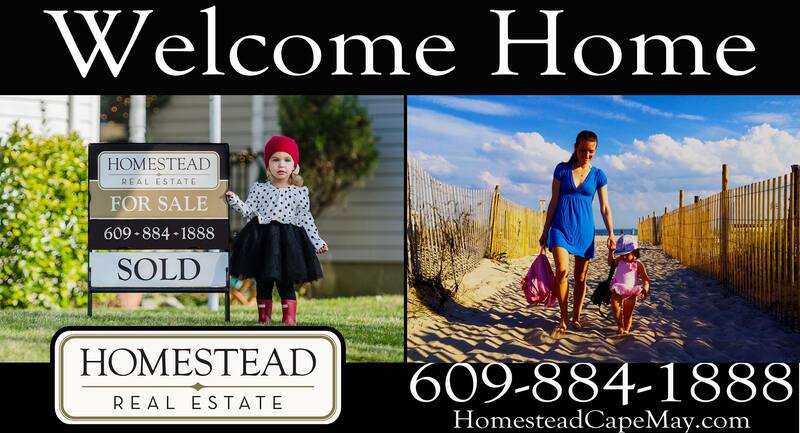 To book your spring vacation call Homestead Real Estate at 609-884-1888 or contact us via email: reservations@homesteadrealestate.net. If you haven’t reserved a property for your summer vacation, now is the time to do it. View all our properties online HERE. Save the Dates and Set the Clocks! Spring Brings Fun in Cape May this March! 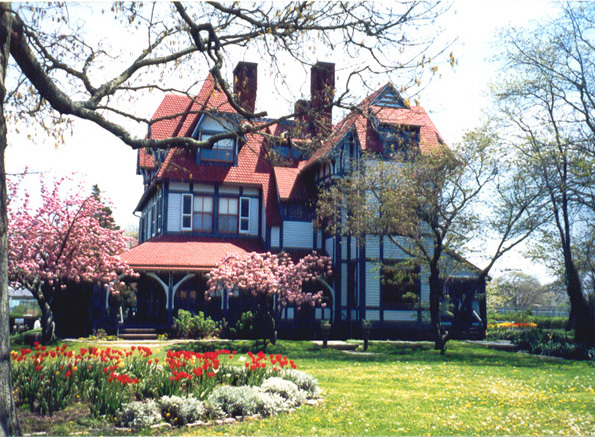 What’s better than a tour of the famous Emlen Physick Estate? A FREE tour! On Friday, March 16th, the 2:00 pm tour of the estate will be free (with requested donation of a non-perishable food product worth $5 or more). Donations are much appreciated and support the Cape May Community Food Closet. So this is a great way to have some fun and support a worthy cause at the same time. This event is sponsored by Friends of the Physick Estate, and you can learn more about them here. On Saturday, March 17th, celebrate St. Patrick’s Day with Cape May’s second annual Paddy’s Day Polar Bear Plunge! There will also be a 5k run/ 1 mile walk event for those looking for a less chilly outdoor experience! 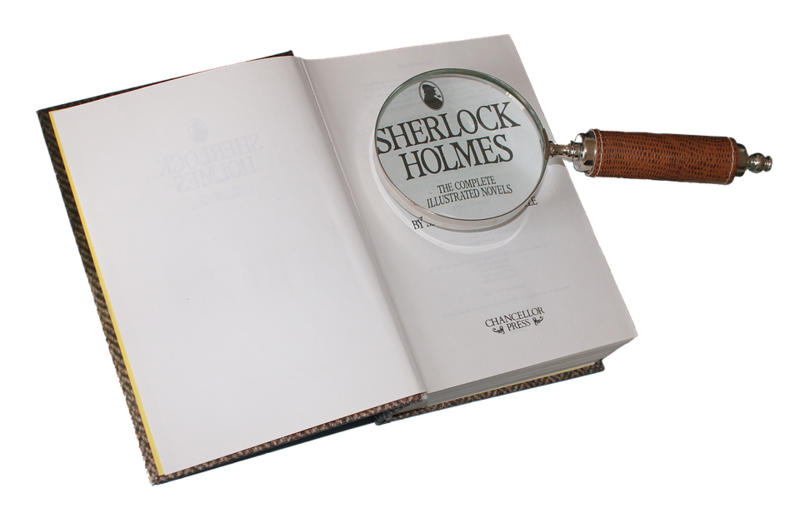 March 16th-18th will bring the return of Sherlock Holmes weekend here in town. This is always an exciting event, but tickets are limited. Don’t miss out! Looking to enjoy a bit of local talent? This Sunday, March 11th, you won’t want to miss “The Squares: From Cline to Cash & Beyond”. Featuring the beautiful voice of Homestead’s very own Debra Donahue, this talented trio is sure to present a fabulous rendition of the best of country music. 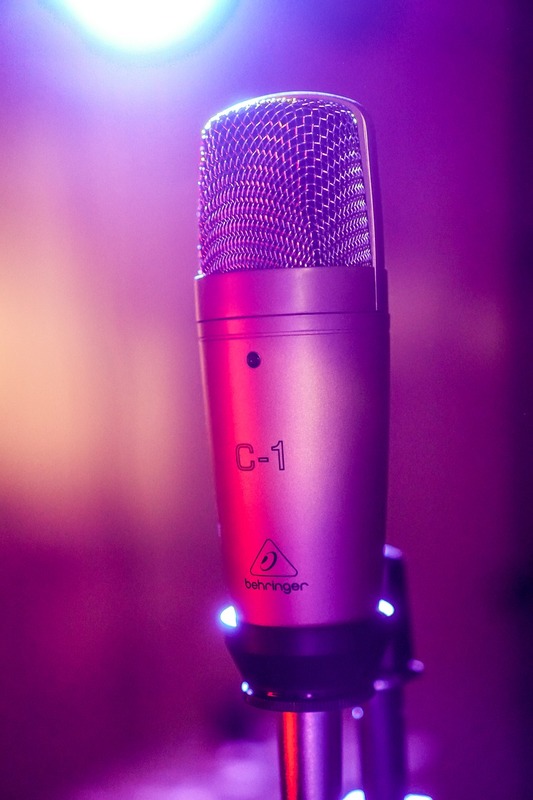 The “concert only” ticket is $15…but why not make a night of it with dinner and a show at the Blue Pig Tavern? The combination ticket is just $36.99 for adults and $9.99 for children. NOTE: The Squares will also be making an appearance at Nauti Spirits Distillery on Saturday, March 17th, 2018 from 5:30 – 8:30 pm. 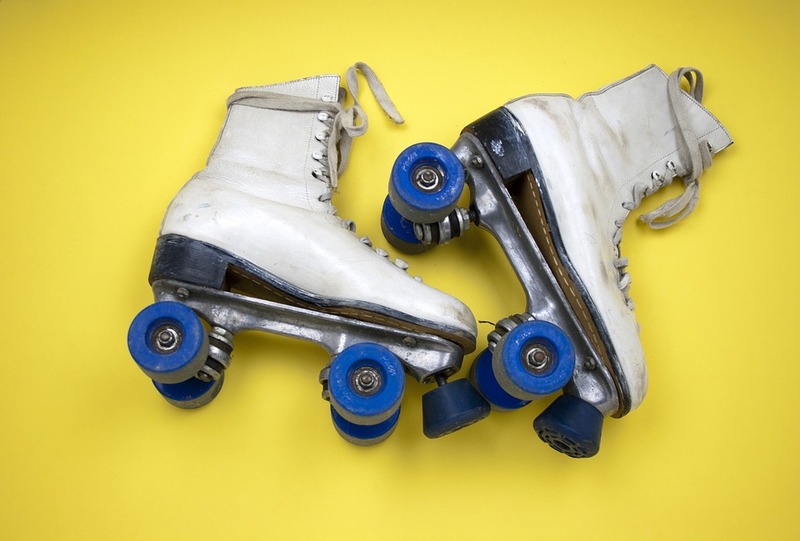 In addition to these special events, many favorite local standbys continue to take place and have returned for the season, including Fire Pit Fridays at the Willow Creek Winery, the Winter Beer Garden at Congress Hall, and (for a few more weeks), Roller Skating at Cape May Convention Hall. Despite our excitement about these upcoming events, remember that there is no specific reason needed to come to Cape May! Often times the best visits are those which are unplanned. The spring season can be a great time to stroll around town and make plans for your summer vacation, or simply refresh your mind and body with a brisk beach walk or a jog along the promenade. Spring holidays are also a great time to be in town, and we’d like to remind you that here at Homestead we have plenty of off-season rentals to accommodate various budgets and time frames. Unlike the summer rental season-which by design must be more structured-off season rentals offer greater flexibility. The spring is a wonderful time because the slower pace of the season allows for effortless exploring, yet there’s still plenty going on! We hope you’ll join us in being a part of the fun. REMINDER: Daylight Saving Time begins THIS WEEKEND, Sunday, March 11th. Don’t forget to set the clocks forward one hour and gain that extra daylight! And remember, this is also the time to change those batteries in your smoke & carbon monoxide detectors. Cape May’s “Second Holidays” are Here! As with many aspects of our lives, the happenings of Cape May follow a bit of a schedule. Mostly, this schedule pertains to the time of year that is upon us. A few months ago, December brought the peace, light, and excitement of the holidays to town. What followed was a bitter cold, “polarizing” January, with some enjoying the winter quiet and others desperate for spring’s return. So now, as we breeze through February, we can’t promise spring weather or desolate streets on the weekends. What we do welcome though, is Cape May’s mid winter holidays. 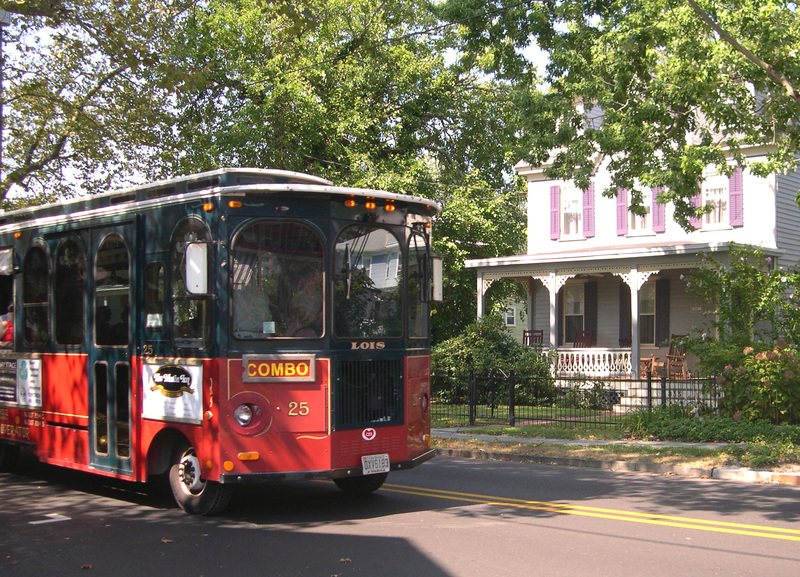 On weekends, Cape May Trolley tours are in back in full swing! They’re always a fun way to explore the historic district…not to mention quite a romantic Valentine’s Day activity. Roller skating at Cape May Convention Hall continues through the winter! Always a fun time for the whole family…this is an uplifting activity for when the gray weather starts to wear you down. 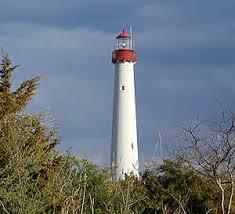 February 17th through the 19th, The Cape May Lighthouse will be open for tours. Walk off the winter blues by climbing the 199 steps to be awarded by panoramic views of Cape May and the majestic Atlantic Ocean. 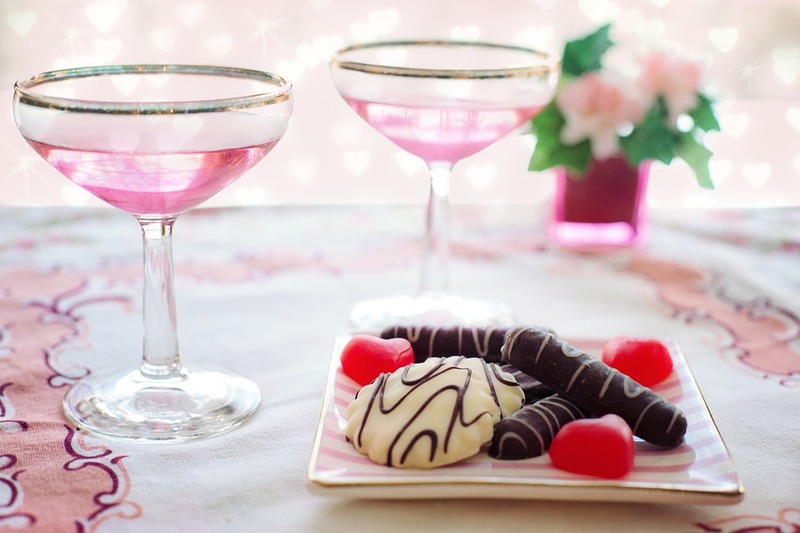 This Saturday, February 10th, pay a romantic visit to the Hawk Haven Winery for the annual “Wine & Chocolate Wine Trail Weekend”. Other dates for this event include February 11th, 17th, and 18th. 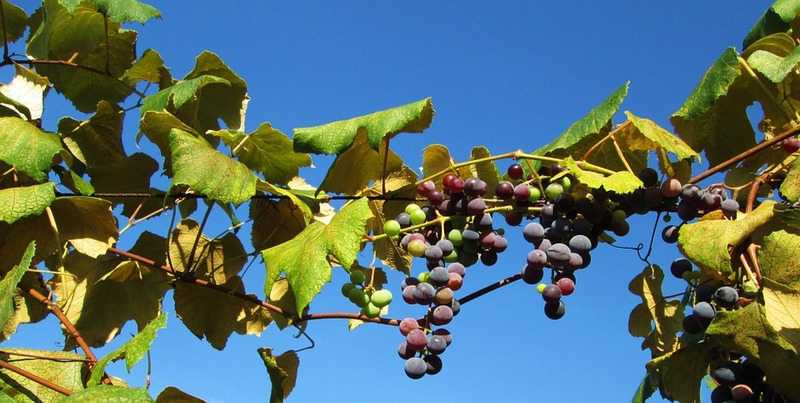 On Saturday, February 17th, The Cape May Wine Trail returns. Begin with a tasting at Willow Creek Winery, and then be transported via trolley to Natali Vineyards. You’ll even receive a souvenir glass as part of the day’s events. Once experienced, we’re sure you’ll want to explore more of Cape May’s area wineries when the weather warms and the season is in full swing. Also on February 17th (and the 18th), there will be a “Crafts and Collectibles in Winter” event at the Cape May Convention Hall. The mid-winter show is indoors for a comfortable escape from the chilly air. 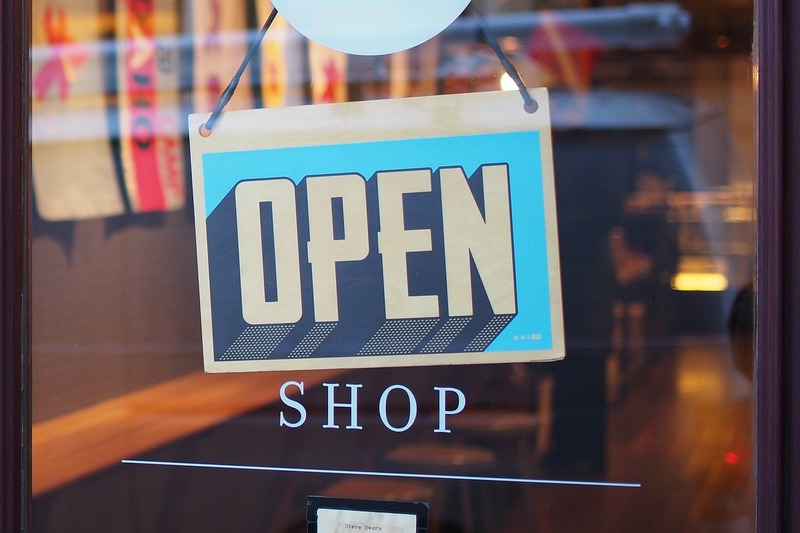 Explore and purchase unique items from local and regional vendors in a fun and relaxing shopping experience. 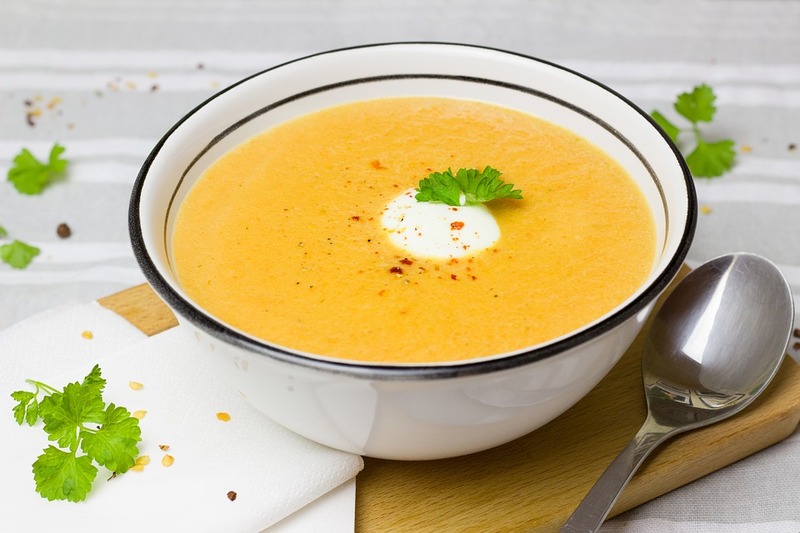 Sunday, February 18th is home to the annual Cape May Chili and Chowder Cook Off at the fifth floor Ocean Front Ballroom of Cape May’s Grand Hotel. This is always a fun time! It’s your chance to sample preparations of chefs from in and around Cape May, and then choose your favorites. Local vendors/artisans will also be featured, and a cash bar will be available. If possible, attendees are encouraged to bring a non-perishable food item to help support food banks in and around Cape May. A portion of the event proceeds will also be donated to the same cause, and the cost is $10 per person with tickets available at the door. So, even if you plan to visit Cape May this spring or summer, we encourage you to come on down and enjoy our “second holiday season” during this midwinter month of February. 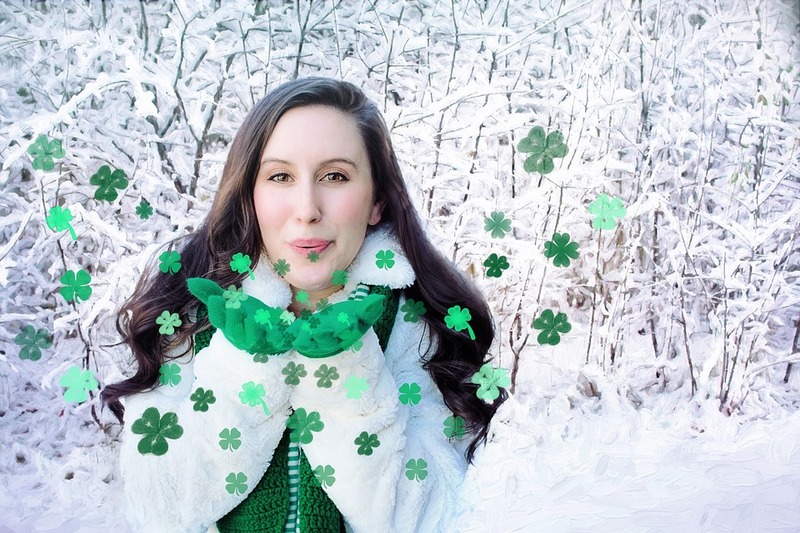 There’s so much to do and see… you’ll forget all about the winter doldrums. Enjoy! Remember, plan ahead for summer now by reserving your Cape May Vacation! The prime season get’s going in just about 4 months…so make sure you lock in YOUR first choice rental. Look for your summer rental: In the winter, everything looks different. And not just because of the landscape, though that of course takes on its own hue, but more so because there are so fewer people than there are at the height of the summer. Whether you’re looking for a new rental for the coming season, or you simply want to take a ride past the home that you’ve already booked…now is the time to do so without the encumbrance of traffic, pedestrians, bicycles, and the like. And if you haven’t reserved your rental yet, don’t delay too much longer! Inventory is going quickly as the bitter cold early winter seems to have sent Cape May vacationers into a very early spring fever. There’s simply no better way to get excited about spring and summer than to know that your vacation rental is booked and waiting for you. Take in the sites: Naturally, many Cape May businesses are currently closed. Some continue to remain open on the weekends, while many are enjoying another few weeks of winter as they prepare for a fresh re-opening on President’s Day Weekend. This time of year is perfect for exploring what’s what around town, and deciding where you want to visit when you return in the spring/summer season. 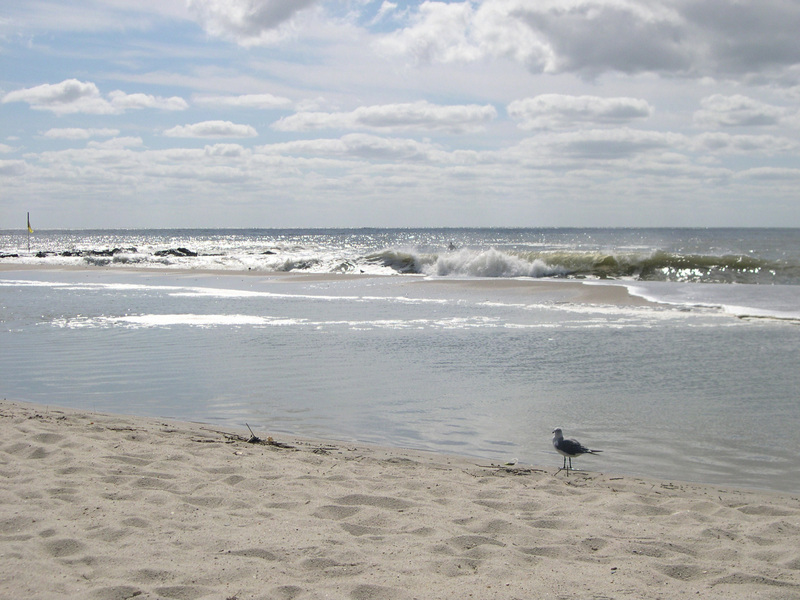 And don’t forget about stopping to take in the offerings of Cape May’s natural world. In winter, the beach invokes a feeling of tranquility and a sense of vastness that is sometimes not as perceptible in the heat of the summer. 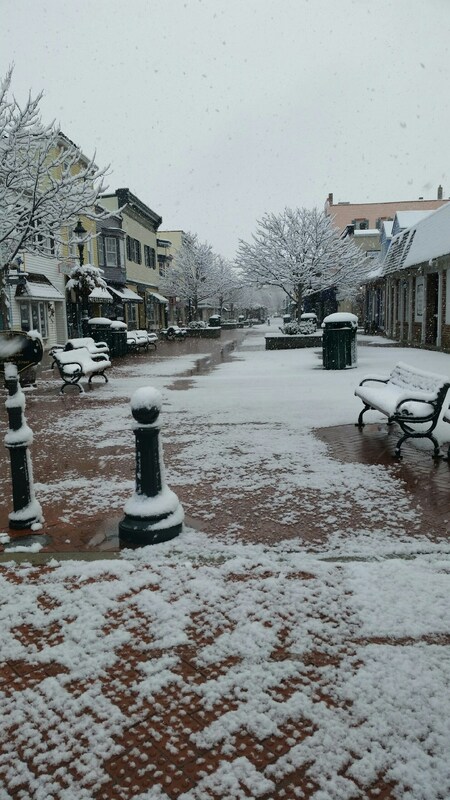 Other places to check out include Sunset Beach, The Cape May Lighthouse, and even the Washington Street Mall…all of which are beautiful in their winter dormancy. Enjoy winter activities like a local: We want to emphasize that ALL is certainly not quiet and closed during the winter. Take a historic trolley tour (a great way to escape the cold), enjoy Saturday Night Jazz at the Willow Creek Winery, or have fun and take part in the humble Cape May tradition of roller skating at Cape May Convention Hall; always a local favorite! Visit us here at Homestead: You can go ahead and add Homestead to the list of places that are NOT closed for the season. Throughout the winter, we maintain our hours of Monday through Saturday, 9:00 am – 5:00 pm. As Cape May experts, our rental team is always ready to help you find the perfect vacation home for your needs in a no pressure, comfortable environment (we even have coffee and tea!). 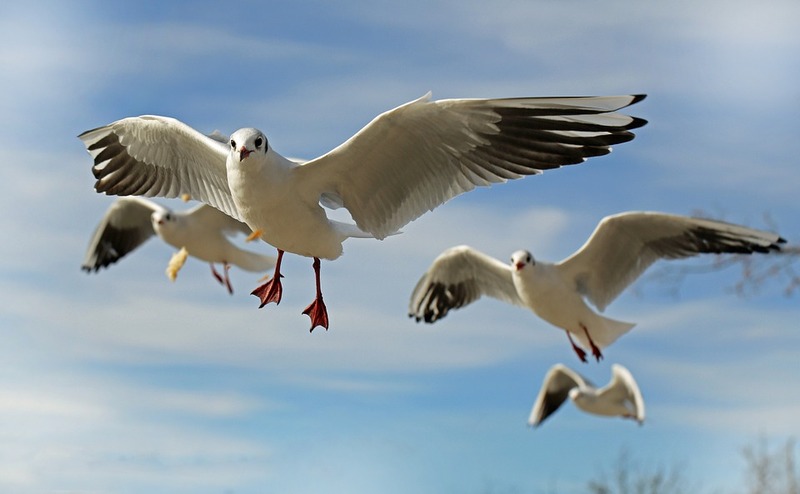 And if you’re interested in information about purchasing a full time or investment home in the Cape May area, our sales team is always ready to assist. No matter what your feelings about winter, we invite you to remember that Cape May is a resort for all seasons. And if you need a getaway, even if just for the day, this is the place to be. 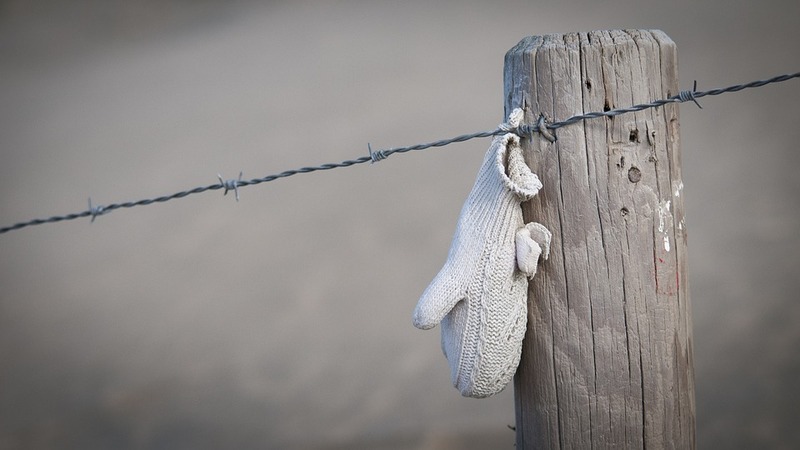 Homestead wishes everyone a wonderful weekend full or warm winter thoughts and dreams of the spring that is to come. On Saturday, September 30th, Oktoberfest returns to Cape May’s historic Jackson Street! This perennial event is ALWAYS a favorite for locals and visitors. Touted as the kickoff of fall’s arrival, the festival features food, music, and fun for the entire family. There’s no charge either. So stop by for a few minutes, or wallow away the full day. There’s no better way to welcome this wonderful season of bold colors, crisp air, and of course…pumpkin everything! Beginning Friday, September 29th through Tuesday, October 3rd, experience the SOMA NewArt Gallery’s final exhibition of its 2017 season. The season will conclude with the finest of work from artists Sam Donovan and Stan Sperlak-a venerable Cape May favorite! 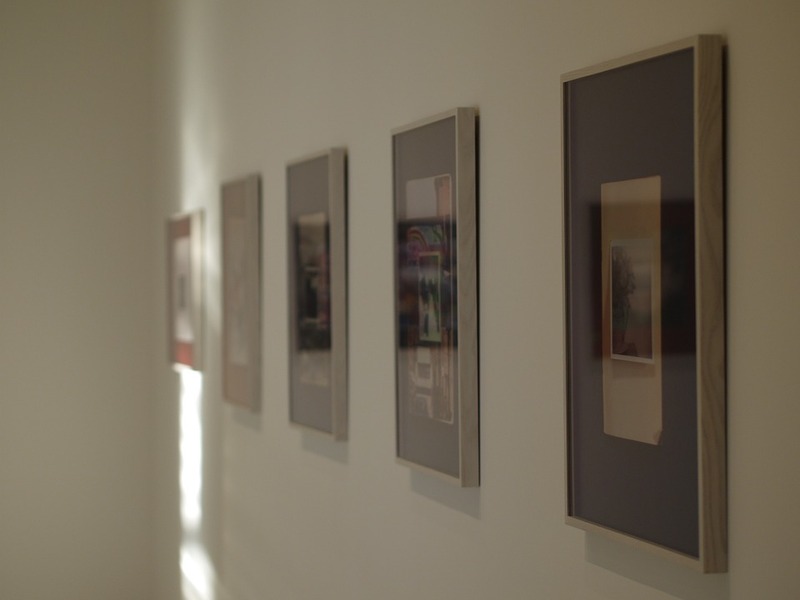 The gallery is always a nice place to explore, whether you’re just looking around, or you’re in the market for that perfect piece of original art. Have you experienced Cape May’s Beach Plum Farm? If not, head over to “Fall at the Farm”. This event begins on Saturday, September 30th and will take place every Saturday through the end of October. There will be live music, hayrides, and of course…the freshest of seasonal goodies. It’s a wonderful way to experience the very best of land and sea right here on Cape Island. Friday, October 6th through Monday, October 9th, you won’t want to miss Cape May’s 45th Annual Victorian Weekend, presented by the Cape May Mid-Atlantic Center for the Arts & Humanities. Victorian weekend is an annual autumn event that places an emphasis on all things historic. Activities include house tours, living history events, workshops, and more. The weekend-long event effortlessly blends education, fun, and relaxation for an experience that is unparalleled and truly unique to Cape May. In the midst of Victorian Weekend, we encourage you to head on over to West Cape May’s Wilbraham Park on Saturday, October 7th. 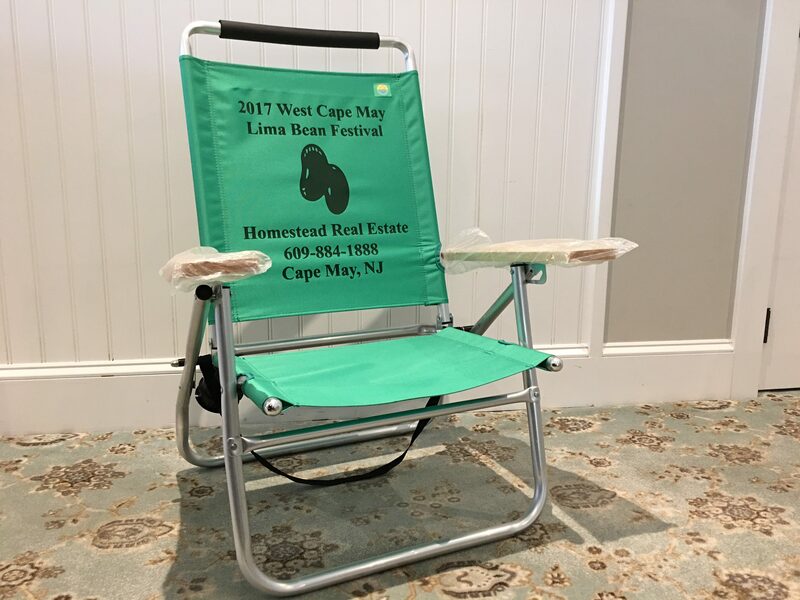 It’s there that you will find the always popular and proudly quirky West Cape May Lima Bean Festival! West Cape May takes this annual event very seriously, and tedious efforts are put forth to ensure that it’s an experience unlike any other. This is a great opportunity to meet many a Cape May local, and you’ll also have your choice of an astounding variety of recipes, crafts, pottery, and other Lima bean themed products that we guarantee you’ve never laid eyes on. Homestead will also be present at the festival, so please stop by and say hello. You’ll even have a chance to win our coveted Lima bean Beach chair! (The actual chair is pictured above/left). NOTE: In the event of rain, the Lima Bean Fest will be held on Monday, October 9th. From October 7th through the 31st, be sure to visit “Scarecrow Alley” on the grounds of the Emlen Physick Estate. 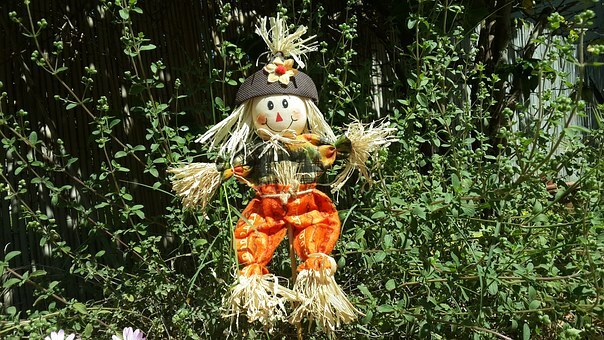 You’ll have the chance to vote for your favorite homemade scarecrow. And while you’re there, be sure to check out the estate’s spooky Halloween décor, perfectly setting the tone for this most favorite of fun holidays! Cape May’s Wine and Music Fest will take place on Saturday and Sunday, October 7th and 8th at the Hawk Haven Winery. The festival will feature live music, fine local wines, a variety of delicious food, and even a craft beer garden. Finally, it just wouldn’t be October in Cape May without some old fashioned Halloween fun! With a fitting beginning of Friday, October 13th, Halloween Happenings in Cape May will continue up to and including Halloween Night. With its rich history, Cape May also has an abundant “haunted history” that’s both exciting and educational. The Cape May MAC does a wonderful job of presenting this history in a fun, whimsical style. So whether you’re fortunate to be spending a week (or longer) in Cape May this fall, or you’re planning a weekend getaway…there will be something exciting on the horizon throughout the month. Join us in celebrating October-one of our very favorite months-and “fall” for the fall here in Cape May. First and foremost…there are numerous rental properties with full weeks remaining available. Saturday, August 19th is the LAST week of prime season here in Cape May. Believe it or not, there is still time to book that week if a very last minute rental should come onto your agenda. Please contact Homestead and speak with one of our rental agents directly, as they would be glad to check on availability for you. At this late date…final availability would be subject to each property owner. 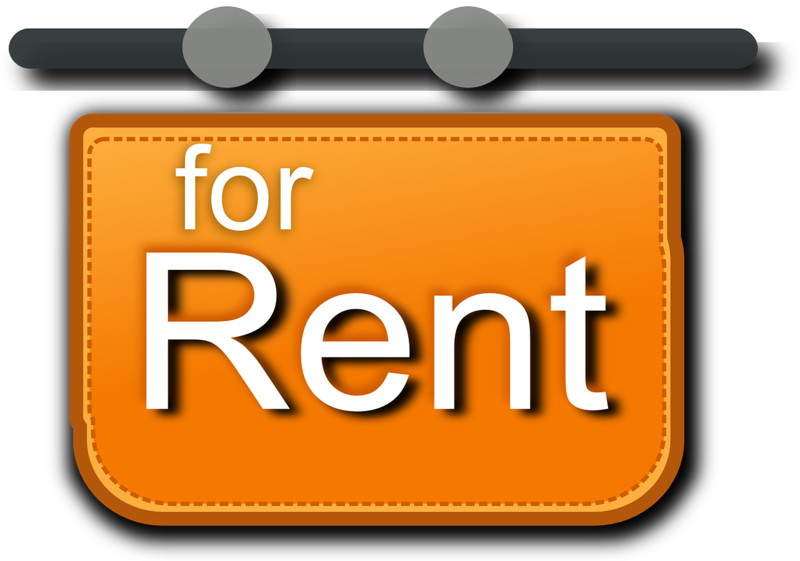 Moving forward, rates for full week rentals gradually begin to decrease starting with the week of August 26th. 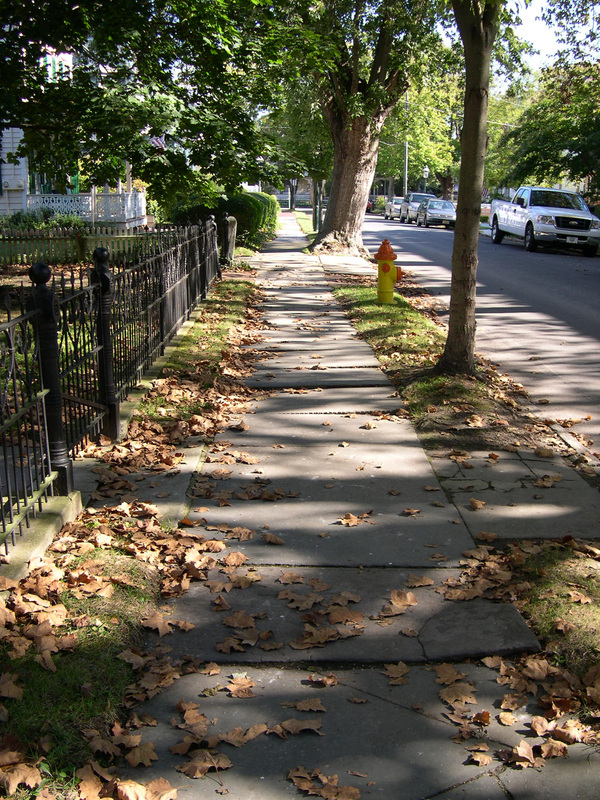 And by the time we reach September, MOST properties that are renting through the fall are in a reduced status. September and October are absolutely gorgeous months in Cape May. There is always lots going on, and generally perfect weather. If you’ve missed out on the summer…don’t fret…as the fall is ready to welcome you with warmth, relaxation, and fun! Next up on the rental agenda…it’s winter rentals. You may have heard this term before and wondered just what it meant. Generally speaking, a winter rental is a long term monthly rental that offers flexibility, value, and convenience if you need or want to stay in Cape May through the entirety of the off-season. The pricing structure for winter rentals is entirely different than it is during the summer resort season. It’s based on a monthly rate that generally falls between about $900 up to about $1500. At times, some utilities are included! Homestead does have a selection of winter rentals that we advertise…but sometimes our property owners will consider a long term, off season rental even if they don’t specifically advertise for one. So if this sort of rental is what you’re looking for…the best way to begin is to select your budget, time frame, and desired monthly rate. 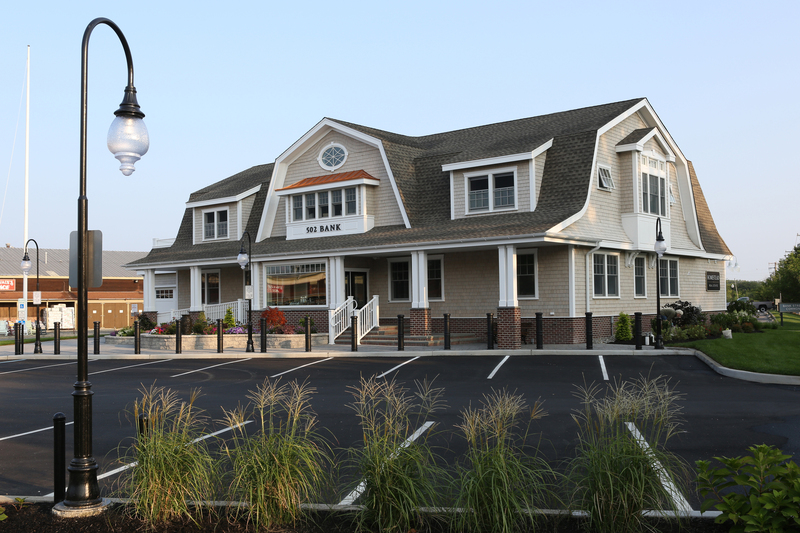 Utilizing that information, we can match you to an ideal property for your off season Cape May stay. Experience our town in the golden crispness of the fall and the sparkling serenity of the winter season. I f a long term winter rental is just not practical (or needed) at this time…maybe a short term weekend rental would fit the bill! Weekend rentals are all about fun. Whether you’re going to be in Cape May for a wedding, special event, or just need a getaway…there are plenty of options to suit your needs and budget. Often times the cost of renting an entire home or condominium is LESS than staying in a hotel for the weekend. It also awards you more space, more privacy, and the ability to bring your pet! (to one of our pet friendly rentals). Some upcoming great times to be here in Cape May include Columbus Day weekend (and its accompanying Lima Bean Festival! ), Halloween, Thanksgiving, the Christmas Parade, etc. * Again, the best way to plan your weekend rental is to research the properties that interest you, and then contact our rental team to finalize the booking process. Don’t forget to add linens to your rental! In the off season, linen packages for our rentals are offered at a 50% discount for short term reservations. Lastly, we know this is the time of year when excitement begins to build around the coming of autumn. Therefore, summer of 2018 may seem too far in the future to be of consideration. 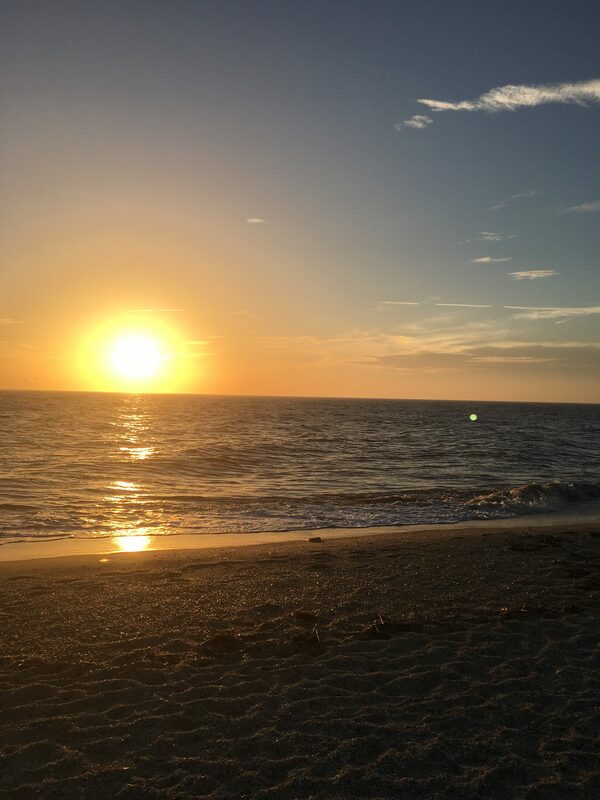 BUT…if you know that you would like to come to Cape May next summer, and if you know the week(s) that you want to be here….NOW is the time to book! For one, any reservation made between now and December 1st will be placed on a 3 payment schedule for your convenience. And as the dust settles on our re-booking season, this is also the time that availability for 2018 falls into place and the selection of available properties is at its largest. Remember that Homestead does offer Travel Insurance on ALL of our leases. Add the insurance for your early booking to increase your piece of mind should the unexpected occur between now and next year. Whether you’re a habitual visitor to Cape May, planning to vacation here for the first time, or find yourself required to be here for a special event…Homestead has you covered. Enjoy the remainder of your summer and the coming of autumn. And remember that anytime is a good time to visit Cape May. *Although we encourage the rental of our properties for accommodations, please remember that rental homes cannot be used as “event homes”, and must be for accommodations only, or small events that adhere to the property occupancy. Every now and again when the fourth of July rolls around, it is said that “summer is almost over”. However, here in Cape May we know different. In reality, the summer has just begun! The Independence Day weekend has come and gone…and what a weekend it was. Throngs of visitors and locals alike enjoyed our beaches, promenade, restaurants, shopping, and so much more. It’s at this time of the year that Cape May truly becomes a fantasy in which time stops, days of the week are interchangeable, and there is a near constant hum of activity and excitement. -This weekend, 7/7 thru 7/9, you won’t want to miss the art show on Cape May’s promenade. There’s something truly magical in the experience of strolling the promenade and viewing fine arts and hand made goods to one side, and panoramic beach/ocean views on the other. This is a fabulous opportunity to obtain souvenirs, home decor, and even holiday gifts. The weekend-long event awards you multiple opportunities for browsing and shopping, no matter your arrival or departure date. -In the mood to be out on the water? Of course you are! Every Friday from now through 8/25 is the “Rock the Boat Cruise” at the Cape May Lewes Ferry. A different artist will provide entertainment every week…all while you cruise the Delaware Bay. Reservations are suggested for this event. 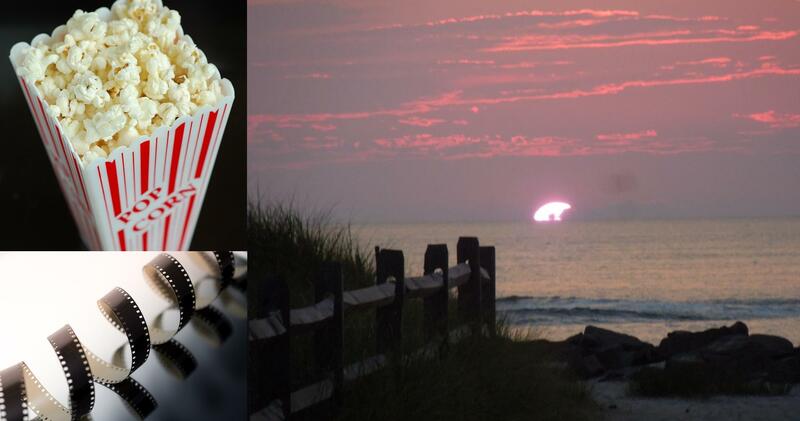 -A reminder that every Thursday from now through 8/24, Cape May presents “Movies on the Beach” at Beach Ave and Stockton Place. This perennial event is always a crowd pleaser that the whole family can enjoy. There’s a good chance you’ve seen many (if not all) of the movies featured…but the combination of the big screen, the beach, and the roar of the ocean is an experience like nothing else, and chances are you’ll enjoy the films in a whole new light. -Enjoy “Music in the Park” at Cape May’s Rotary Park bandstand. Concerts are presented every Friday through Monday at 7:00 pm through mid September. The newly designed rotary park bandstand is located in the center of Cape May and is within a short walk to many rental homes, restaurants, and the Washington Street Mall. –Sangria Sundays are back at the Hawk Haven Winery! House made sangrias, wine tastings, and live music are a perfect way to kick off your vacation and experience a bit of our local culture. Venture just off-shore and enjoy this relaxing tradition from now through the end of the summer. -Also every Sunday through the end of August, it’s the Nature and Wildlife show at Cape May’s convention hall (7:30-8:30 pm). This event is FREE for the whole family. Take a walk through as you stroll the promenade in the evening. 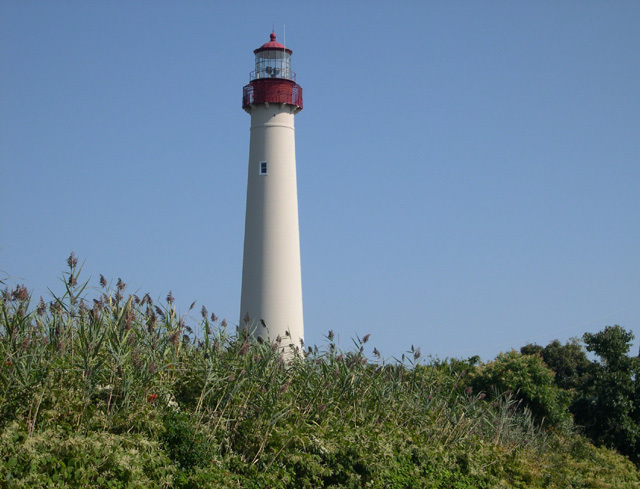 -On Wednesday’s throughout the summer season, venture down to Cape May Point and enjoy Family Fun Days at the Cape May Lighthouse, sponsored by Cape May’s Mid Atlantic Center for the Arts and Humanities. You’ll experience entertainment, local crafts, activities for children, and of course the beauty that is Cape May’s Lighthouse. -Last but not least, head offshore to Clubhouse Drive (just off of Townbank Road) and check out the Whale of a Day Festival! This quirky local event is always a fun time. And the best part? Homestead will be there! Be sure to stop by our tent and say hello. You can even enter for a chance to win the 2017 Whale of a Day beach chair. Not just any chair…ours is a beautiful shade of marine blue outfitted with a white whale. It’s truly one of a kind (and comfortable too!). A beach chair might be a fun prize, but it’s not the only thing we’d like you to win this summer. In our largest contest every…Homestead wants YOU to help us “welcome home” our guests. Submit a high resolution photo of your Cape May experience and it will be entered to win a featured place on our billboard…which welcomes guests to Cape May just as they “exit zero” at the foot of the Garden State Parkway. 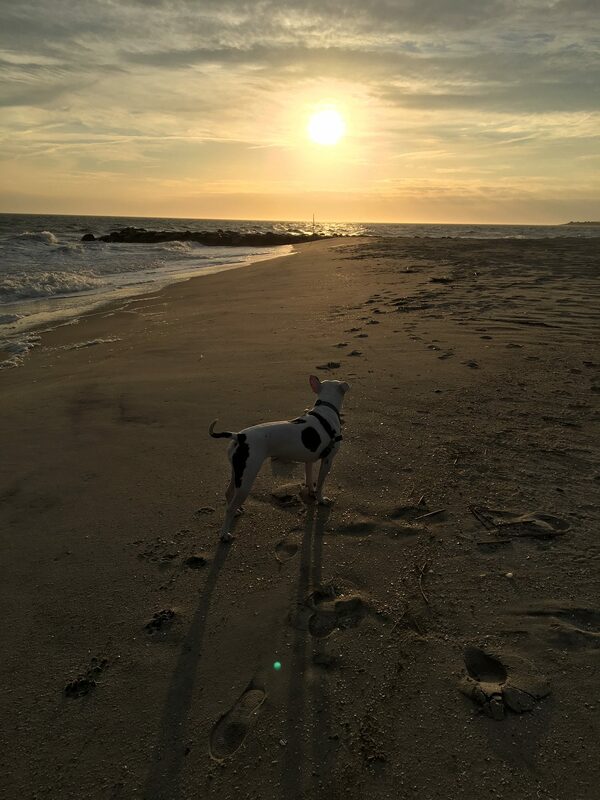 Photo submissions will be accepted from current Homestead guests, local residents, part time vacationers…basically anyone who enjoys Cape May as much as we do and doesn’t want to contain their excitement! (Only one photo per person will be accepted for consideration, photos will be presented on the billboard for approximately 6 months. Entries or questions may be submitted to jpowers@homesteadrealestate.net). As we move swiftly through the summer, we hope you will take time to stop and enjoy everything that Cape May has to offer. Whether you’re beginning a new vacation tradition, taking part in a long standing one, or simply passing through on a summer day trip…we want you to have a wonderful time. 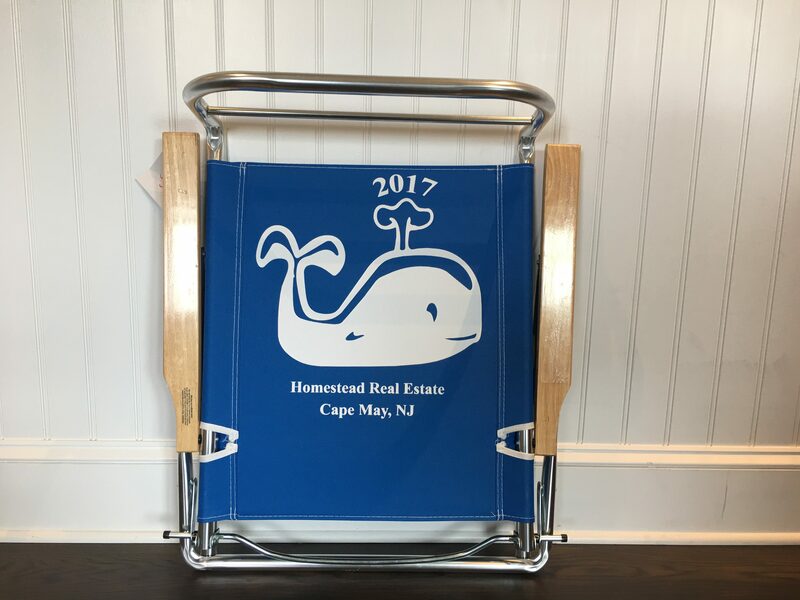 And remember, when you inevitably decide to return to Cape May…we’ll be right here waiting to assist with all of your real estate needs. Because you too, can be a local. Are You Ready for Cape May’s Winter Awakening? 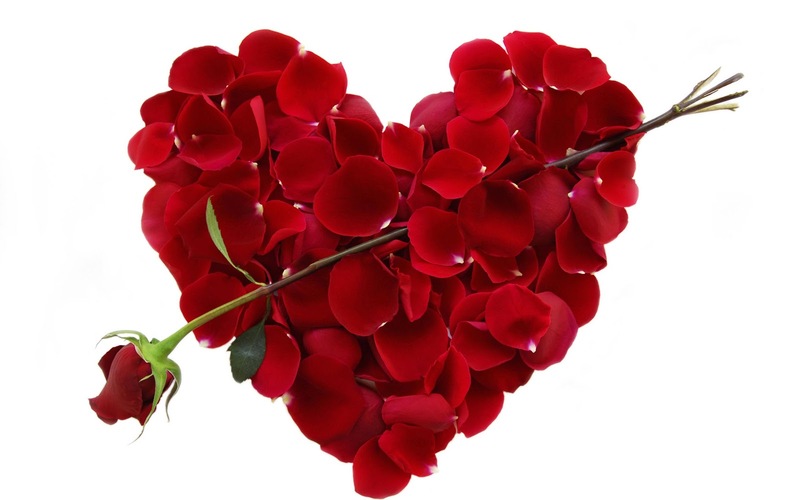 This weekend through Valentine’s Day is “Love Cape May” weekend here in town. Enjoy special fixed menu options at select Cape May dining establishments. These include (but are not limited to) The Washington Inn, Peter Shields Inn, and Beach Plum Farm. And if you’re planning to make a long weekend of it, remember that Homestead features numerous rental properties that are available this time of year for partial week rentals. Throughout the past several years, New Jersey has gained increasing notoriety for its various vineyards & wineries, many of which are right here in Cape May County. If you’ve not yet visited any of these locations, it’s definitely encouraged. 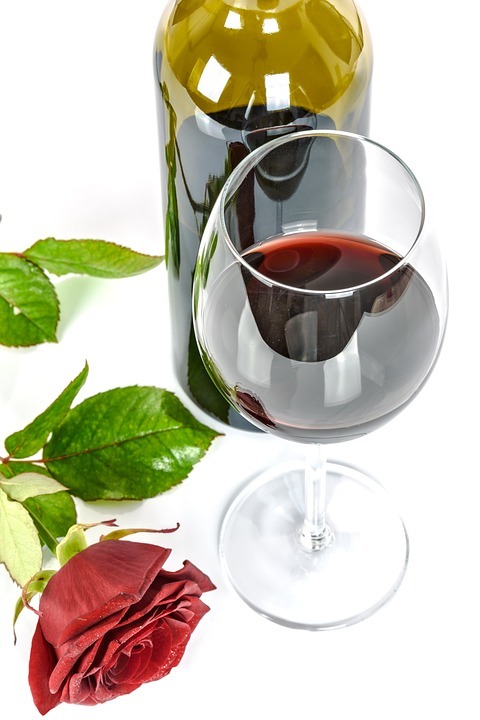 On February 11th and 12th, the place to be is Hawk Haven Vineyard & Winery. They will be presenting their Wine and Chocolate Wine Trail Weekend. While this is a perfect Valentine’s Day event, it will also be featured on February 18th and 19th during President’s Day weekend. stroll, so take a walk and wander into the open shops. The gift options are ideal, and of course it never hurts to pick up a little something for you! 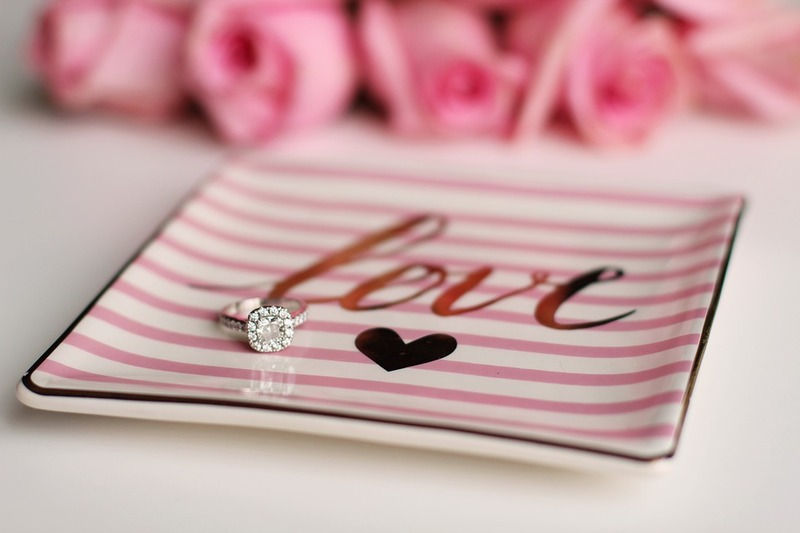 With love in the air this weekend, now is especially the time to be thinking about engagement and wedding gifts. Free Love Bridal’s gift market will be OPEN and is the perfect place obtain one of a kind gifts for the couple-to-be. And for the bride-to-be, Free Love carries a stunning selection of wedding gowns. The gift market is open to the public, while gown fittings are completed by appointment. So be sure to check-out Free Love during your Cape May shopping adventure. They’re located right across the street from our Homestead office. If you’re looking for a great way to warm up on a winter afternoon, the Chili and Chowder Cook Off, located in the penthouse ballroom of Cape May’s Grand Hotel, will certainly fit the bill. YOU are the judges and select the winners as you experience chili and chowder prepared by some of the Cape May area’s finest chefs. You’ll also have the opportunity to obtain hand made goods from local Cape May artisans that will be on-site. The panoramic views of the Atlantic Ocean awarded by the Grand Hotel penthouse are in themselves worth this event’s $5 admission. Last but certainly not least, be sure and check out Cape May’s Mid Atlantic Center for the Arts and Humanities as they too begin to get into the swing of the season. 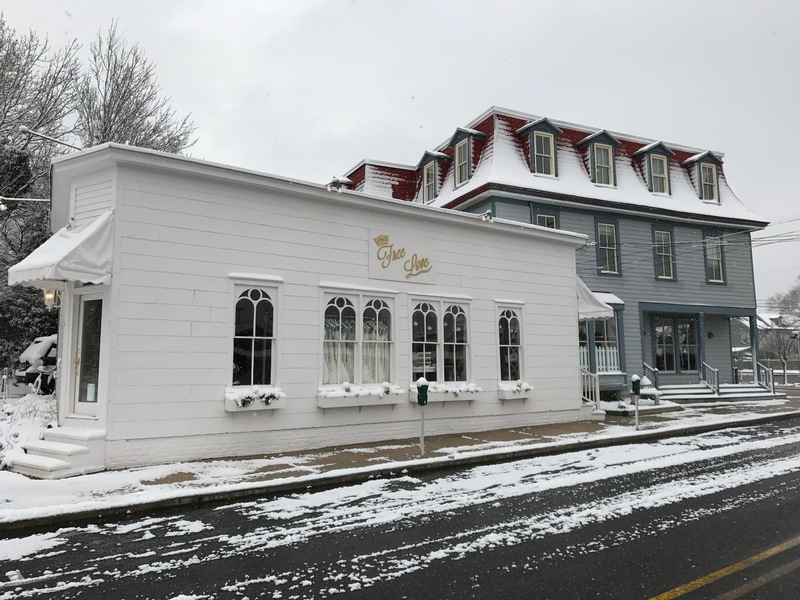 Upcoming events include Crafts and Collectibles in winter, Cape May Wine School, and of course the always popular Historic District Trolley Tours. So…now that you’re a bit more informed as to what’s happening right now around Cape May, we hope you’re ready to pay us a visit. And we don’t just mean a general Cape May visit; we also would love to meet you here in our office to discuss real estate rentals, sales, and your Cape May Vacation! Remember that if you haven’t yet reserved, now is the time. In fact, we truly do think this is one of the most exciting points of the year in Cape May, as it’s a turning point towards a new season of fun; one that will be upon us before we know it! 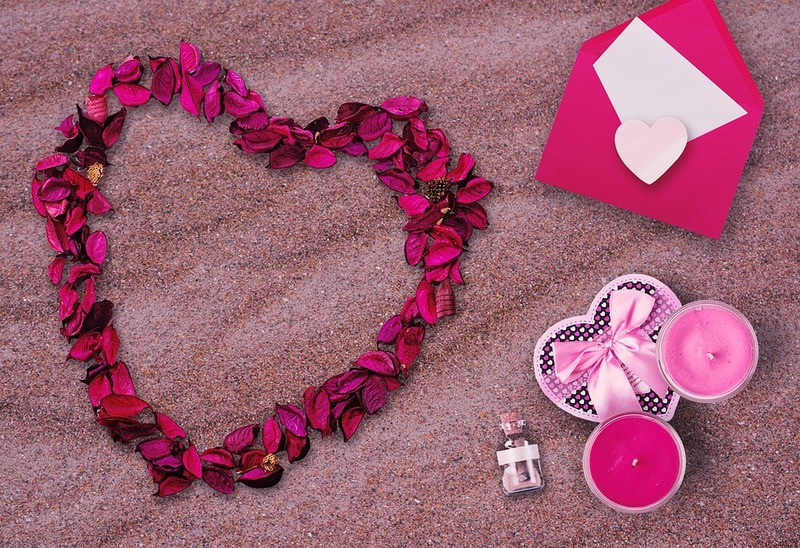 We wish everyone a wonderful weekend, a Happy Valentine’s Day, and a fantastic remainder of the winter season. 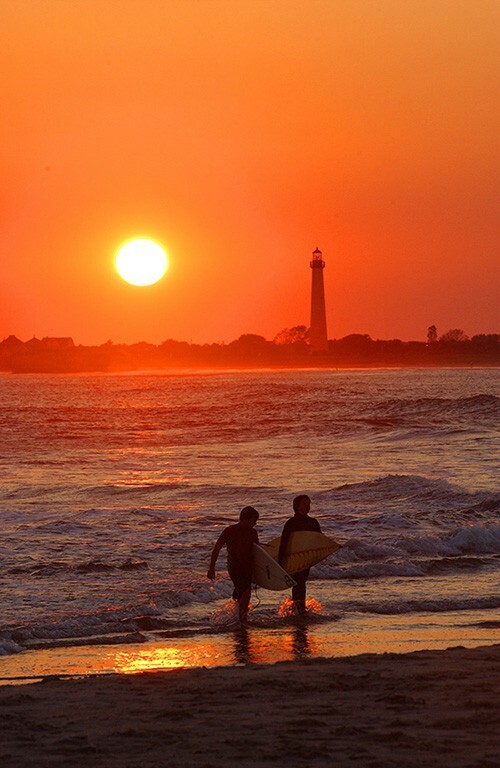 Look ahead to the summer sun, but never lose sight of all that Cape May offers at ANY time of the year. Enjoy! Cape May Fall Festivals: Where you’ll want to be this October! The sun is setting on September 2016. One of the most beautiful months of the year has come and gone, and we’ve officially made a full transition into Fall. The Fall is a polarizing season…but not in a negative way! Many among us are extremely excited for football season while others don’t know or care about the game at all. The same can be said of Halloween; a favorite of many…but for others just a holiday to tolerate (and a good excuse to eat excess candy!). Then there’s the weather; a crispness and clarity that for many is ideal…but of course there are those mourning the loss of blistering beach days and warm, muggy nights. 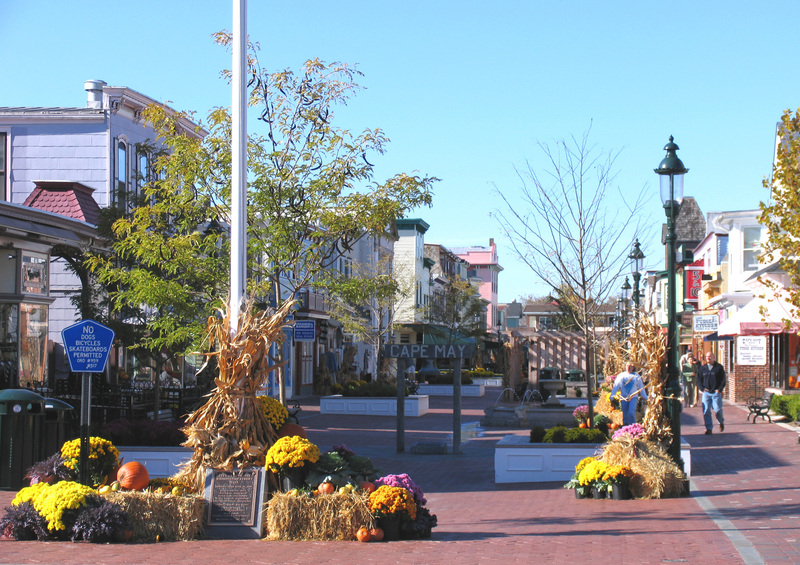 Whatever you think about Fall, one thing safe to say is that it’s a FUN time in Cape May. We welcome October and are excited to tell you about what’s in store this month…so read on to find out more! Many of Cape May’s September events are perfect for the transitioning of the seasons. 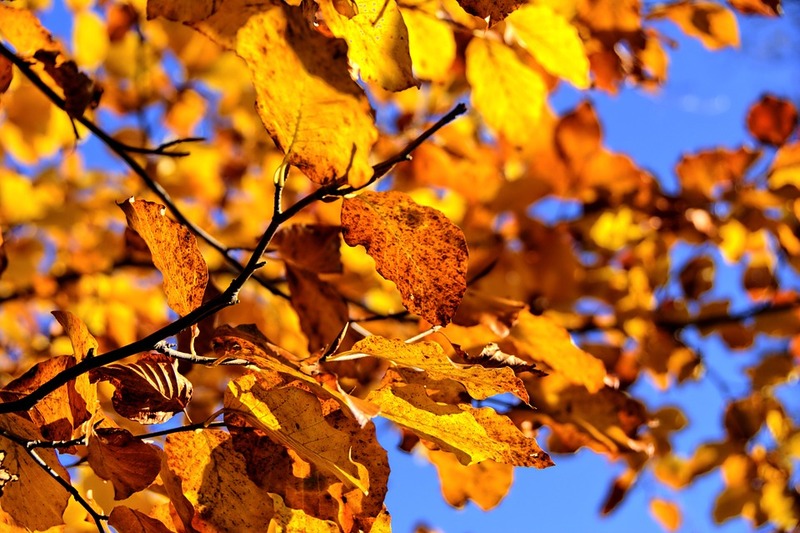 However the arrival of October brings a bevy of events tailored to the ultimate autumn lover. This year, October 1st is a Saturday! To celebrate, Cape May is starting the month off right with Oktoberfest on historic Jackson Street. The street will be closed to vehicular traffic and will be transformed into a German promenade! Traditional German food and music will be featured, and artisan crafted goods and collectibles will be available for purchase. There will even be a beer Garden! 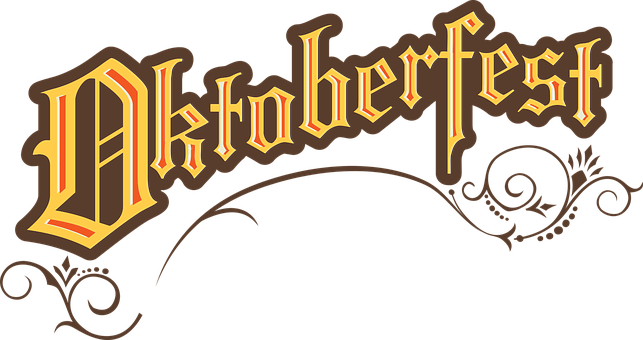 Jackson Street is THE place to be this Saturday between 10 am and 5 pm, as Oktoberfest is a simply fabulous way to ring in the month. The best part? 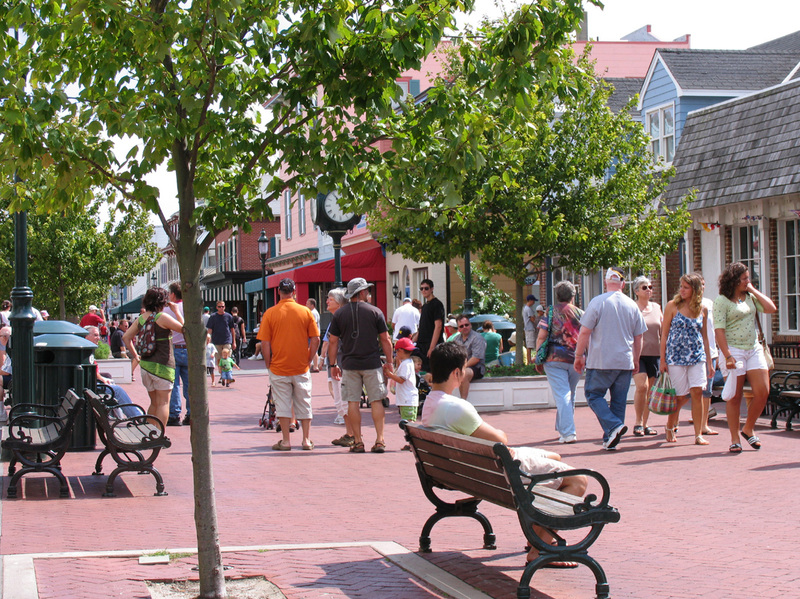 After spending some time at the festival, just stroll over to the Washington Street Mall or up to the Cape May promenade and continue your weekend wandering. From shopping to dinging to just plain sightseeing…there’s always something to explore. Despite our excitement about the imminent Oktoberfest, we’re also willing to admit that it does fall into the category of polarizing events that might not be everyone’s “thing”. So if you’re in search of a more subtle afternoon but are still thirsting for some exploring, check out the Cape May Wine Trail. You’ll start the event with lunch at The Carriage House Cafe and Tearoom (located at the Emlen Physick Estate), then it’s all aboard the trolley for stops at Willow Creek Winery, Hawk Haven Vineyard & Winery, and Natali Vineyards. The cost is $75 per person and includes lunch, wine tastings at each location, and a wine tasting glass! Two out of the three wineries to be visited are located offshore, so a perk of this event is that it’s also a chance to see a bit of “off-island” Cape May county…just another way of exploring like a local. We should also mention that while at the Physick Estate, you’ll certainly want to check out the Autumn Festival Crafts and Collectibles show-featuring the works of crafters from throughout the region. unique festival has long been a favorite of locals and visitors alike. In fact, many enjoy the tradition of escaping to Cape May each year for this one of a kind event. It begins at 9 am and runs until 5 pm. There will be recipes, crafts, and entertainment all centered around the Lima bean! And yes, speaking of polarizing…we’re aware that Lima beans are either loved or loathed. But trust us, even if Lima beans aren’t at all pleasing to your palate, you’ll still enjoy yourself at this lively event-as it’s truly a fun time for all ages. Homestead will be present as well…so please stop by and see us. Look for the Homestead tent! 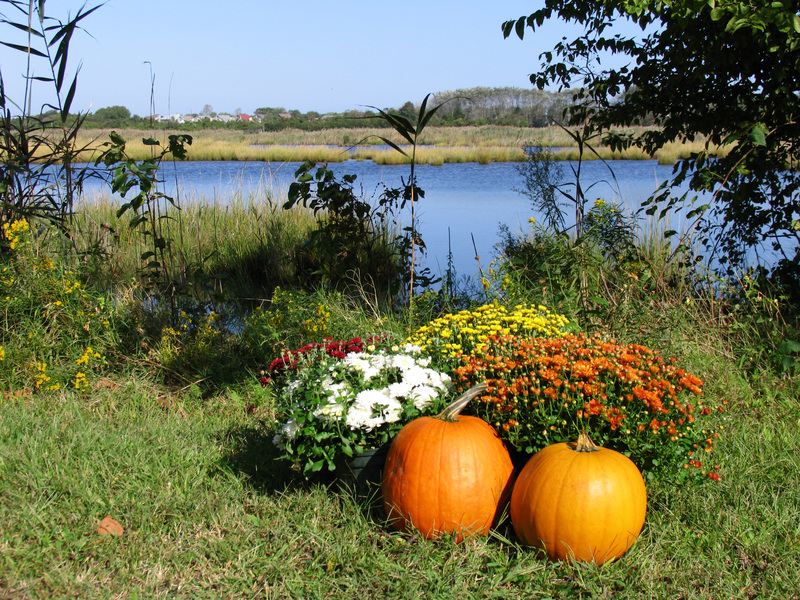 An additional event that begins on Saturday, October 8th (and continues each week until 11/5) is the Fall Festival at Beach Plum Farm. The lovely Beach Plum Farm (in West Cape may just near the Willow Creek Winery) will feature seasonal fresh foods, craft beer from the Cape May Brewery, hayrides, and much more! You can also just relax and stroll around the breathtaking 62 acre farm-all the while forgetting that the Ocean is mere minutes away. It’s like being in the country and at the beach simultaneously-and nothing much sounds better than that! While most of Cape May’s major events (including those listed above) take place on weekends from now through the winter season, weekdays in October still find many local establishments open for business. 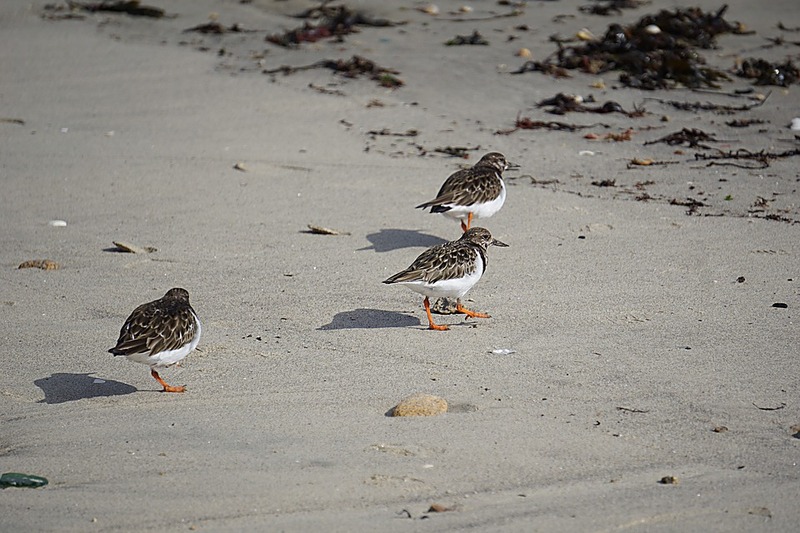 If you’re able to explore Cape May during the week at this time of year, it’s a great time to get acquainted with the local population. Business owners and local employees are often able to entertain general conversation and conduct more personalized, old fashioned service. We recommend a Thursday through Sunday/Monday stay at this time of the year. You’ll experience the tranquil pace of the late week followed by the bustle and buzz of an autumn weekend-truly the best of both worlds here in Cape May. In addition to long weekend rentals, Homestead is witnessing a continued rental momentum even as we move into October! Numerous homes are nearly booked solid for the 2017 season. 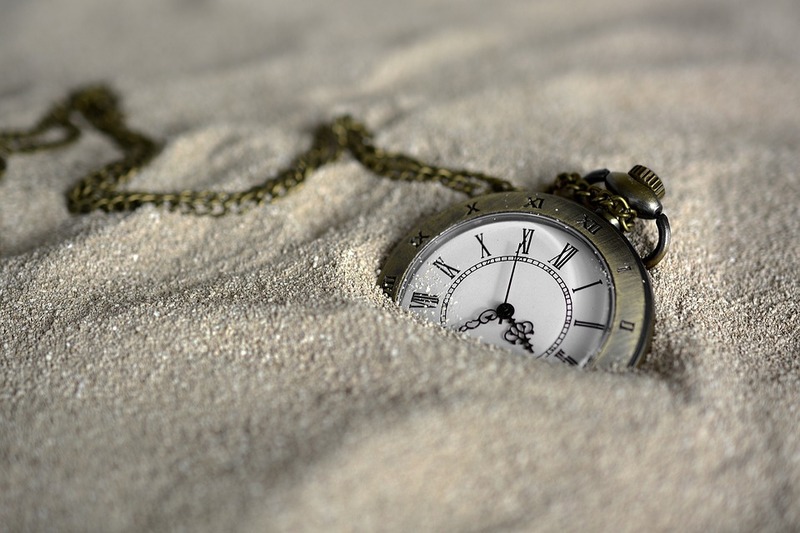 If you traditionally wait until after the holidays to book your Cape May vacation, you may want to consider moving the timetable forward a bit. We still expect a sizable rental inventory to be available as we move into the winter…but if you’re very specific about your rental property location and/or features, the time to reserve is NOW! Homestead is open year round from 9 am thru 5 pm everyday except Sunday. Give us a call or stop by and see us. 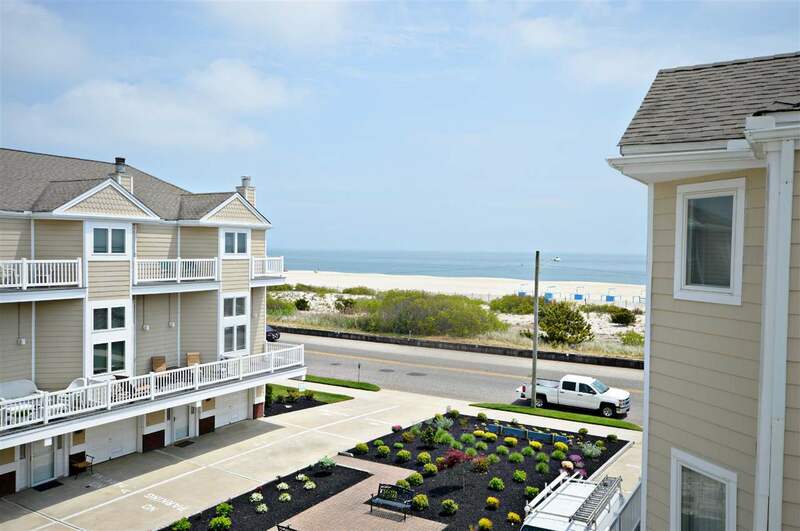 We’d love to help you find your dream rental in Cape May! 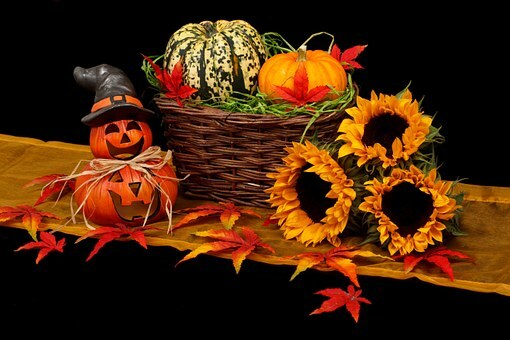 We hope everyone has a wonderful weekend and is as excited about October as we are! But even if you’re not, we encourage you to try and find something about the fall season that you love. And if you’re here in Cape May, the search for that something will certainly not prove to be a challenge.